February Report: Quantum dot OLED TV, Retail Touch Display, and Metal Mesh - Touch Display Research, Inc.
“Flexible displays and flexible touch screens continue to grow. Automotive touch, display, and ADAS are ubiquitous. ITO-replacement– especially metal mesh– is growing to all different sizes. Retail displays will experience rapid growth. 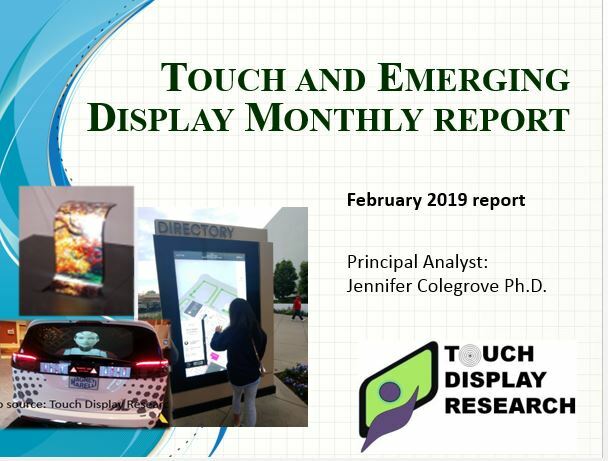 All these new trends are analyzed in this report,” said Dr. Jennifer Colegrove, CEO and Principal Analyst of Touch Display Research Inc., who has authored reports on the touch panel and emerging display industry for over ten years.